Trying to get a grandparent to use social media is no easy feat. And if that’s where your best baby pics make their debut, then they’re probably missing some major moments. (It’s hard enough to find time to eat a bowl of cereal, let alone individually email or text photos.) Well, now your tech-challenged or social media averse friends and family can see all your posts without apps or accounts. Kidpost collects all the baby-related content you share on your favorite apps and bundles it into a daily email for your nearest and dearest. So, now everyone you love can be in the loop without being looped into social media. Here’s how it works: do your usual posting to Facebook, Instagram, Twitter, or Flickr. Any photo you tag with #kidpost or your own custom hashtag will be automatically included in the Kidpost daily digest. Or you can just log into your Kidpost account and select photos recently posted and click send. Only the friends and family you choose will receive your Kidpost. Try it free for 30 days (no credit card required). And once you’re hooked, it’s just $3 a month or $30 for the year. Thanks to Kidpost, not everyone needs a newsfeed to get your latest baby news. Want to get weeLove in your inbox? Sign up here! And if you have a suggestion for something we should cover, click here. weeLove is weeSpring's twice-weekly email newsletter about the fun stuff… cool new products, services that make parents’ lives easier, game-changing apps, and more. It’s a way for us from weeSpring to share with you a few of our favorite things. 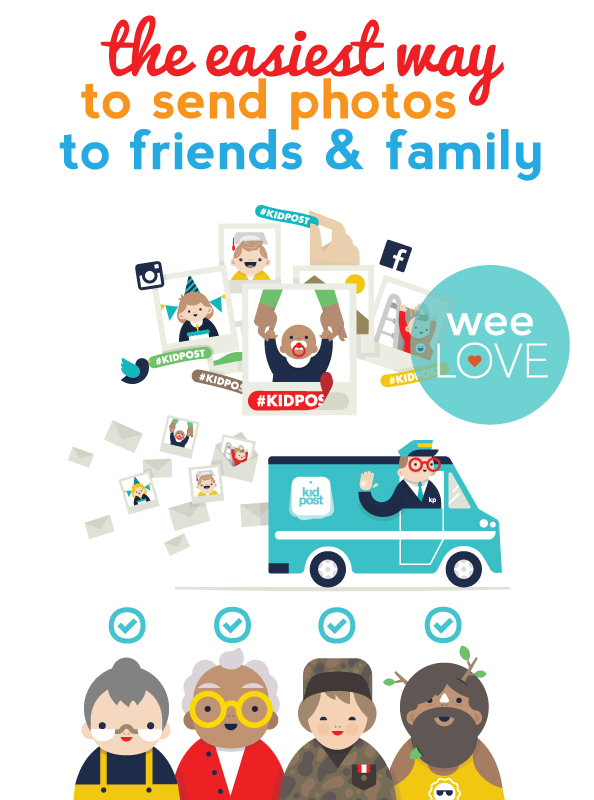 If you aren't already getting weeLove in your inbox, you can sign up by joining weeSpring. Next story weeLove: Headbands, Pom Poms, and Bows… Oh My!